One of history’s most ancient puzzles is the construction of the pyramids, over and over again through the course of history, many nation, scholars and scientists asked the question of “How The Pyramids Were Built“. 4,500 years ago Giza Pyramids were constructed to immortalize the legacy of the ancient Egyptian civilization for many generations to come, it also was able to offer insight about the life aspects of the ancient Egyptians from religious to agricultural practices through the magical wall illustrations of the pyramids. The techniques used in constructing the Egyptian pyramids have baffled historians and scientists for countless years. 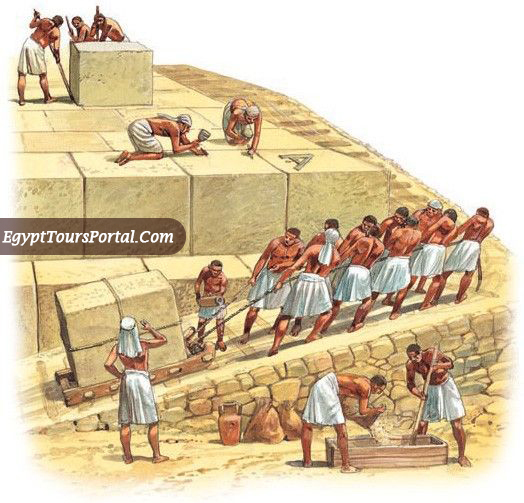 The pyramids are the subject of many controversial hypotheses, the general theory is based on the belief that the huge stones were carved from the quarries using copper chisels, then these blocks were dragged and lifted into position but the method concerning the movement and placement of these stones were under a great dispute. 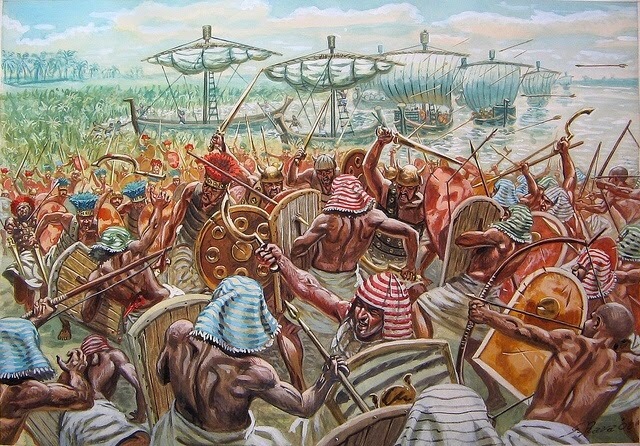 The form of the workforce was under a huge debate as it was believed that the pyramids were constructed using a slave labor but after research published in 1990, it turned out that the pyramids were builds by “tens of thousands of free skilled workers” who lived and buried near the great pyramids and worked for a salary, a wage of ten loaves of bread or a jug of beer per day or a form of tax payment until the construction was completed. They used hammer, chisels, and levers capable of handling the stones. The workforce was highly organized and managed to the highest level. The most important element in constructing a pyramid is choosing the right location. 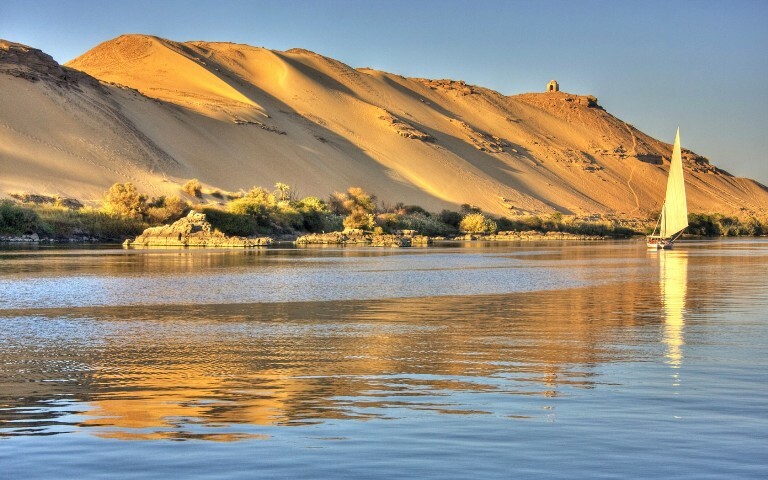 The pyramids were constructed on the west side of the Nile River where the sunset which was believed where the dead enter the underworld, the location also needed on be on the higher ground to avoid the danger of flooding at the time of the Nile’s inundation. 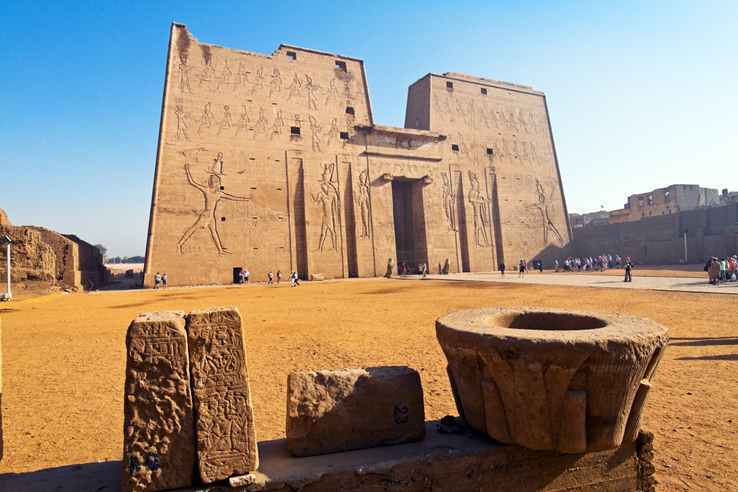 The location must be in close proximity from the Nile River and on a firm rock base capable of supporting the massive weight of any Pyramids with cracking or showing the sign of structural weakness and more importantly must be in the close reach of the current capital. The Pyramids were constructed using locally quarried limestone which was the main material of choice for all the pyramids. A higher quality of limestone quarried near modern Cairo was used for the outer casing. Granite was used in the construction of architectural elements of the roofs and the burial chamber and also in the outer casing like King Menkaure Pyramid, it was quarried near Aswan. The workers begin their work by preparing a strong foundation by removing the loose sand from the rock base with was made completely flat. The flat base was accomplished by building low mud walls all around the base and cutting the channels in a grid pattern over the surface, then afterward the channels would be filled with water and the level which the water reached is marked. After the water of drained, all the sticking out rock would be removed and any void would be filled with stones in order to make the surface level perfectly flat. The ancient Egyptians were highly advanced in the field of astronomy as Each side of the pyramid were designed to face one of the cardinal points. 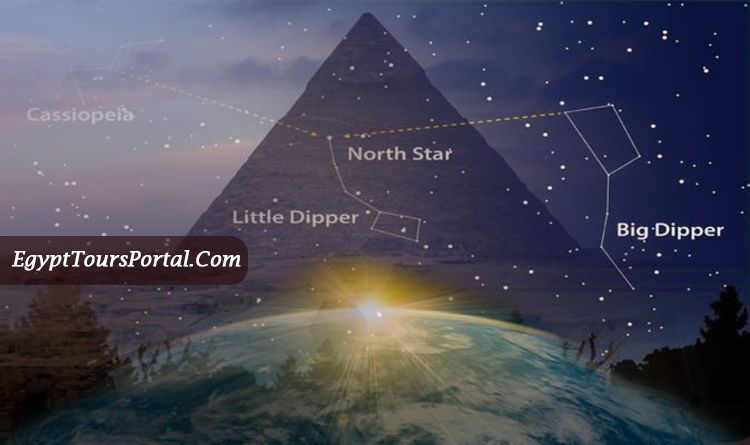 The ancient Egyptian builders observed the rising and setting of the northern star on the horizon which explain why they began by establishing the true north first then the rest of the other directions. They were able to make all the four sides in exactly the same length and in the right perfect corners. They bisected the angle thus obtaining north and south lines, they also used their instruments in drawing right angels and find the east and the west angels. 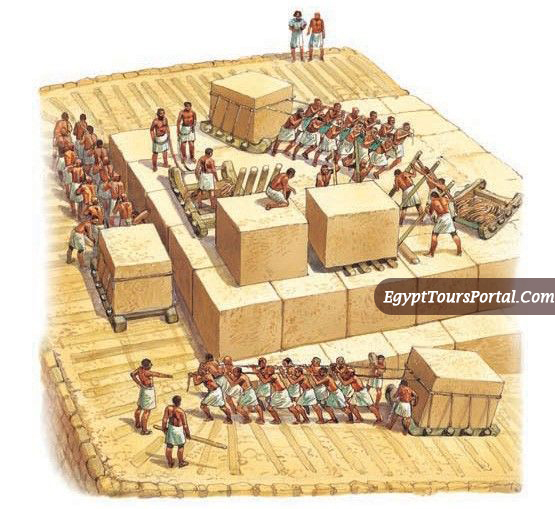 One of the biggest mysteries surrounding the construction of the pyramid is the process of which the massive limestone blocks weighing every 2.2 tons were moved across the desert. A wall painting on tomb dating to 1900 BC depicts 170 men dragging a huge state using ropes attached to a sled and in front of it are men pouring water over the sand in order to reduce friction and make it easier to operate the sled. The ancient Egyptians understood that adding water to the sand increased its stiffness to drag the sleds more easily across the surface. They calculated the amount the water necessary to reduce the friction depending on the type of sand, the optimal amount of waterfalls between 2% and 5% of the complete value of the sand. This discovery is highly important as it not only explains how the blocks were moved but also helps the researchers in understanding the behavior of other granular materials like coal or even asphalt or concrete. 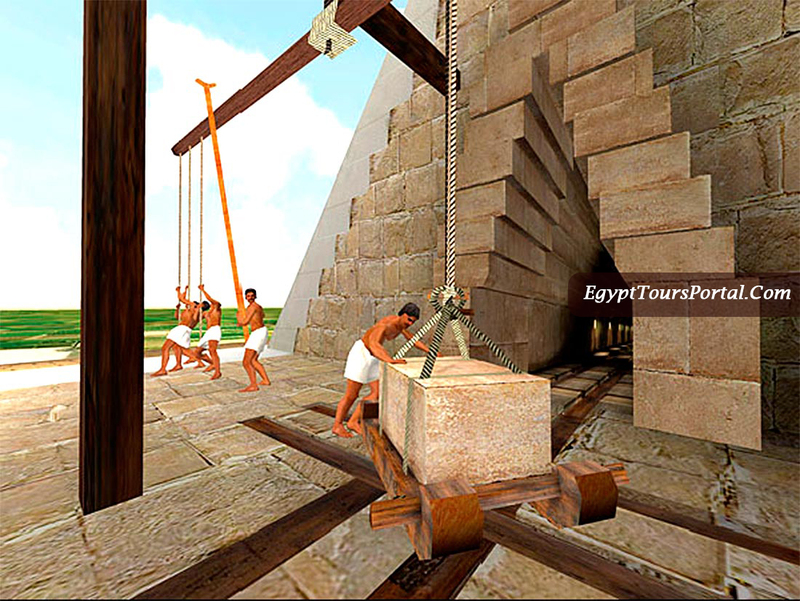 One of the most acknowledged theories on what method used to raise the blocks among the Egyptologists is ramps. 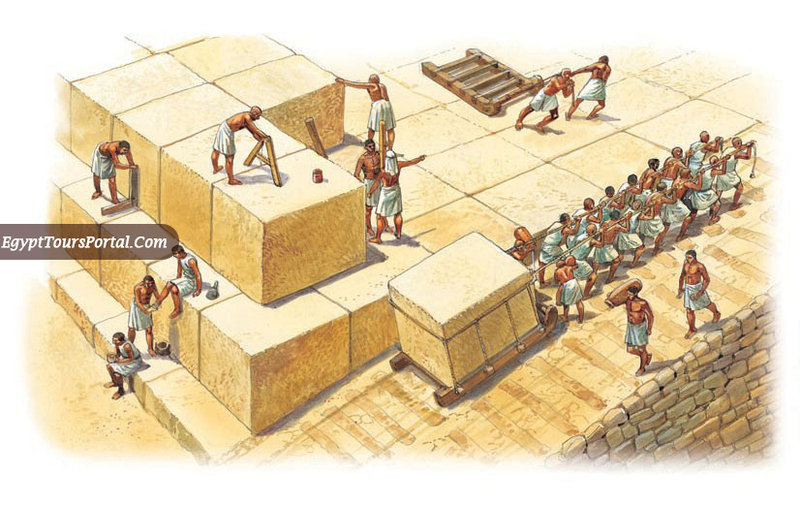 The Greek historian shows in his writings the usage of levers being used to raise the blocks from one level to the next. As the pyramids grow in size so did the ramps to the point where the ramp has to be as huge as the pyramid. Internal ramps were also used as the grand gallery is believed to have acted as a trolley guide for counterbalance weights. There is also a theory which states that a form of limestone concrete was cast in wooden molds then it would transform from a wet to a hard substance after undergoing a chemical reaction. The method of the pyramids is completely shrouded with mystery and many theories are still open for discussion. 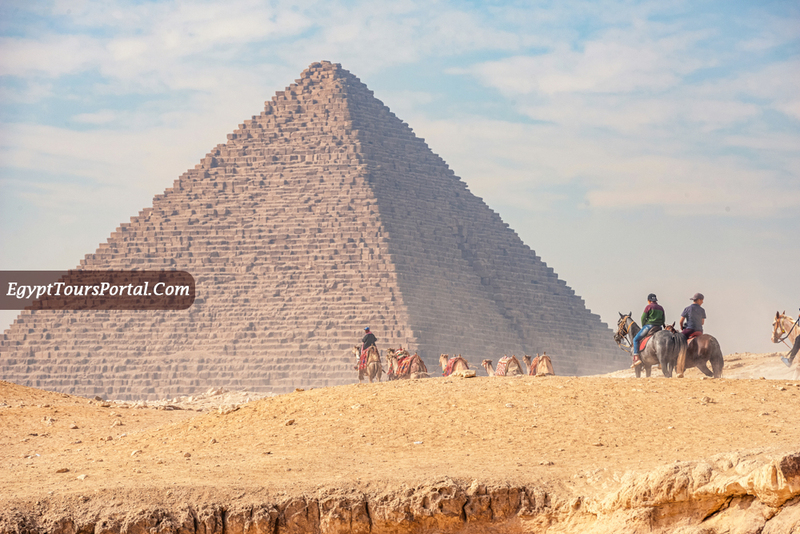 Egypt has always been the home of the impossible, within the heart of the country in Cairo lies the miraculous Pyramids of Giza where the impossible is yet to be explained. The cities of Egypt like Giza, Cairo, Aswan, and Luxor are the purest reflection of how the ancient Egyptians vision was extraordinary, so we offer you the chance to enjoy a marvelous trip to Egypt with Nile cruise, also our Cairo day tours are the best way to book your trip if you are in Cairo, or check our Egypt day tours if you are in any Egypt top destination to arrange your tours.